In the naturalistic (deep-time–based) interpretation of landscapes, rivers have cut their valleys over very long periods of time (millions of years). The rate at which they deepen their valleys is measured in millimetres per year in the fastest cases. When canyons and gorges are cut in hard rock, the erosion rate is much lower, and this is why the finer sediment (like sand) will inevitably polish the bedrock exposed in the riverbed and walls. As the gorge is supposed to deepen over millions of years, most of the walls should be polished from top to bottom. 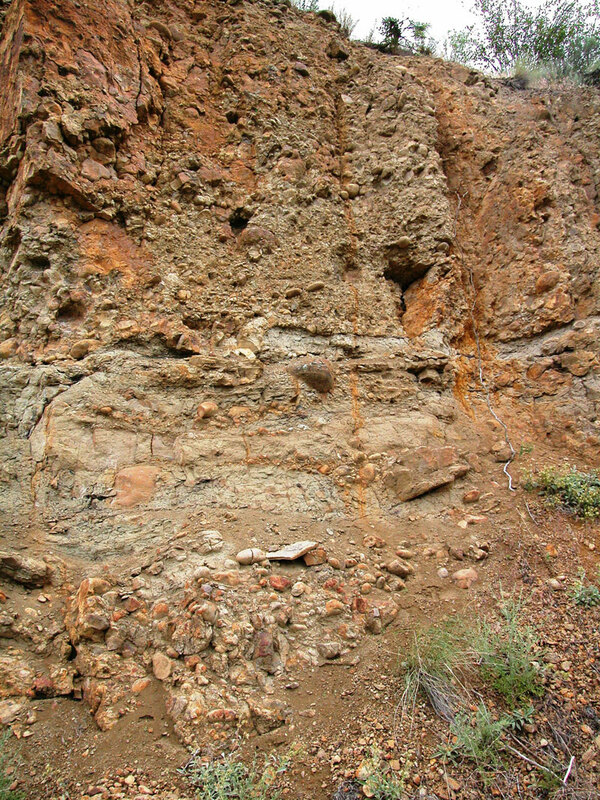 Even when subsequent slope breakdown and other erosional processes reshape the walls, traces of the polished sections should be left here and there at various heights, all the way to the top of the gorge. 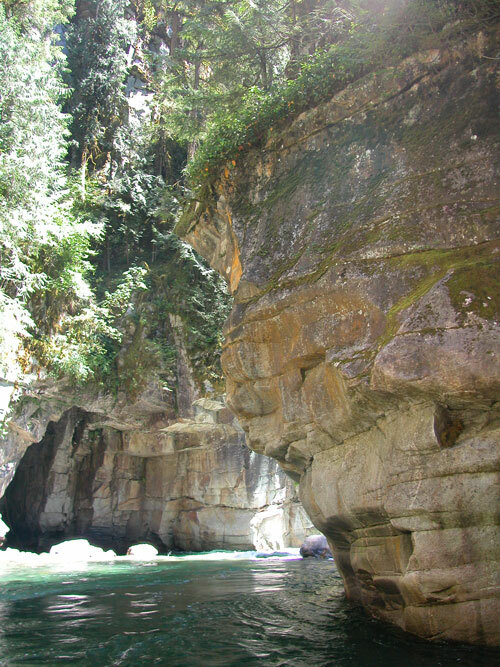 The Kettle River Gorge near Hope, British Columbia, is cut in massive, compact granite. The gorge represents a tourist attraction because of the old railroad that runs through it, built between 1913 and 1916 by the engineer Andrew McCulloch. A great admirer of Shakespeare, McCulloch named many of the tunnels he had excavated along this railroad after Master Will’s characters. 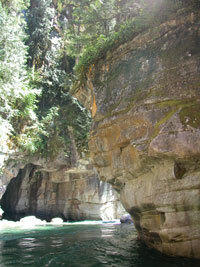 The ones in this gorge are called ‘Othello Tunnels’. There is one interesting feature anyone can see as they walk along the old railroad track, very close to the river: though the walls in places reach well over 50 meters in height, the maximum height at which polished granite can be seen is never more than 3 meters above the water (photo 1). Well, that’s not what we would expect after millions of years of river erosion, but it makes perfect sense if the gorge was cut by a sudden catastrophe involving large volumes of water gushing down from the Cascades towards the Pacific Ocean. In the time since the catastrophe, sediment in the flowing river has only polished the bottom of the gorge, where we see the river flowing today. Was that Noah’s Flood though? I don’t think so. 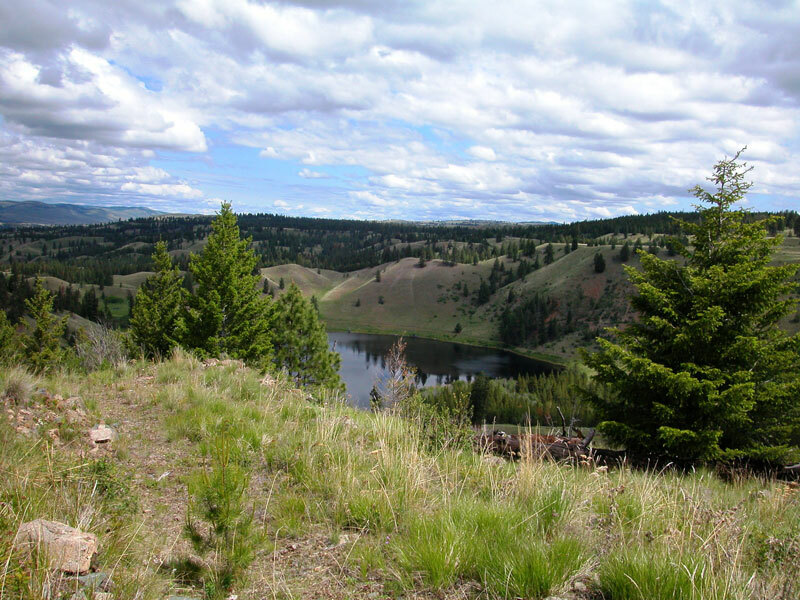 As we travel east across the mountains in the Lower Mainland of British Columbia, there are clear indications at various locations that large and very deep lakes once existed there. This is because we can see, in most cases, massive sediment accumulations, the tops of which often appear as horizontal surfaces in the middle of rugged landscapes (photo 2). These lakes probably formed as the ice sheet that covered nearly half of North America during the Ice Age was melting. 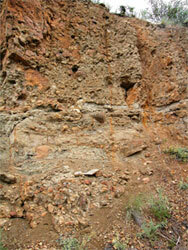 Rounded water-transported gravel incorporated in volcanic ash (photo 3) suggests that volcanic eruptions underneath the ice sheet melted the ice, possibly caused sudden flooding. 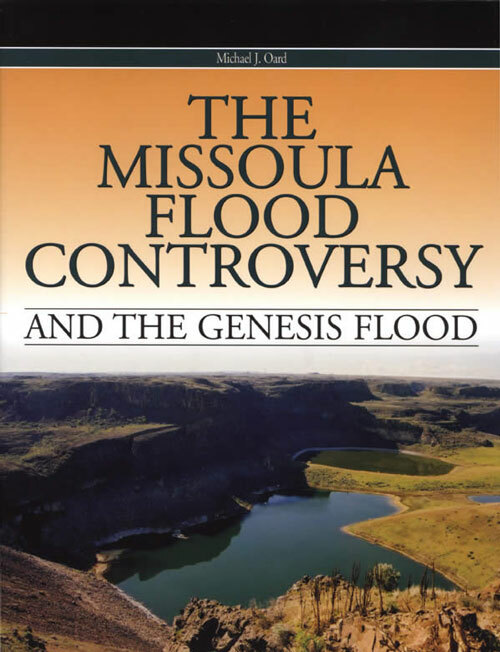 The end of the Ice Age in these parts of the world is known to have triggered massive floods like Lake Missoula flood that have shaped and reshaped the landscape a few thousand years after Noah’s Flood reshaped the entire planet.